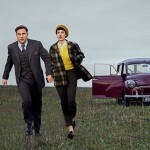 Home » Actors/Actresses » Proof positive there’s ‘Nothing Like a Dame’! 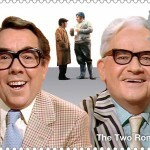 Proof positive there’s ‘Nothing Like a Dame’! 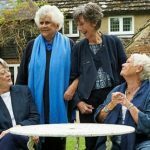 Recently, four ‘forces of nature’ converged in Sussex to film a documentary about their decades of acting on both stage and screen. 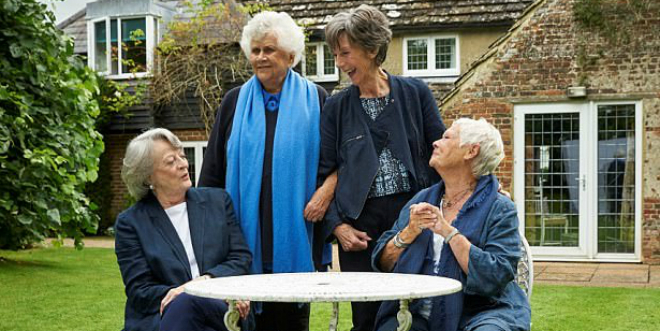 Nothing Like a Dame, which features the likes of Dame Maggie Smith, Dame Judi Dench, Dame Eileen Aitkins and Dame Joan Plowright, is the first time the actresses/friends have ever appeared together on screen. The closest being when Dames Dench and Smith appeared in The Best Exotic Marigold Hotel and its sequel. With a friendship that goes back over a half century in time, the four dames discuss their careers while reminiscing about their humble beginnings in the theatre. The Dames gathered at the country retreat of Dame Joan Plowright that she shared with her husband, Sir Laurence Olivier, until his death in 1989. Dame Joan, who is now blind, brought the friends together for a weekend of candid, irreverent and poignant conversation. 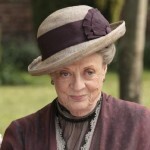 No topic was left on the table with serious discussions of love and loss alongside lighter moments of discussing Dame Judi’s habit of nabbing all the plum roles and Dame Maggie’s less than enthusiastic reaction to becoming internationally famous thanks to her role as the Dowager Countess in Downton Abbey. 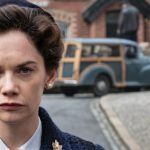 Nothing Like a Dame will be release in UK cinema on 2 May and later this Summer on BBC2. We can only hope a public television broadcast is not too far behind.